The NIVEA Express Hydration body lotion is infused with the NIVEA INTENSE MOISTURE SERUM and sea minerals. It absorbs in seconds and leaves your skin smoother and intensely moisturised for 48h - after just 1 application. 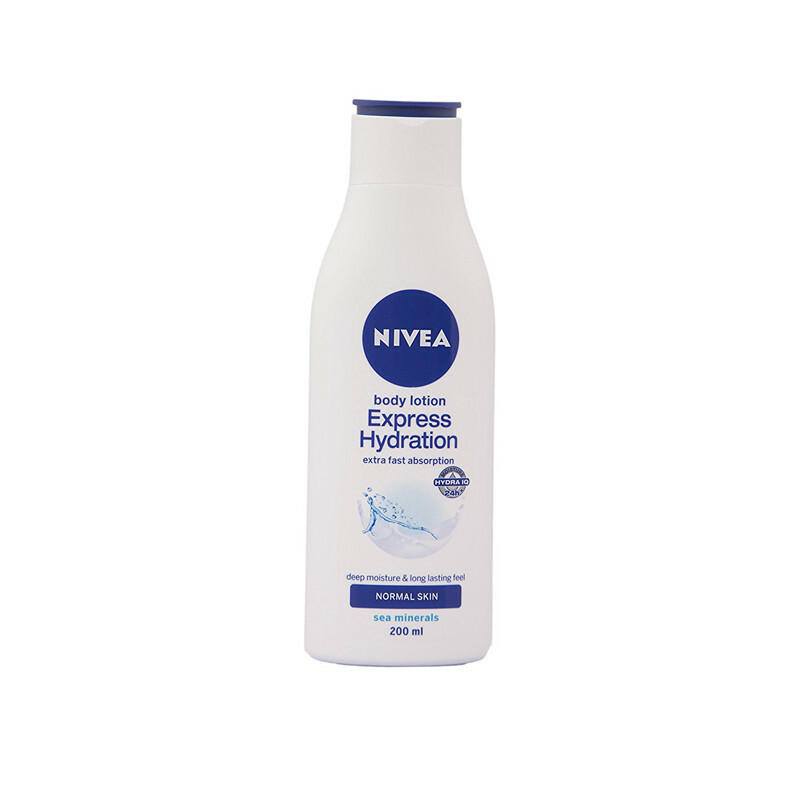 Nivea Express Hydration lotion with Sea Minerals leaves your skin soft and supple immediately and effective and no-fuss. Nivea body lotion is a lotion that will leave your skin fresh and smooth without having to massage extensively. A common problem many face is that lotions do not get absorbed into the skin easily. Some lotions are heavy oily thus making it difficult to make them blend into the skin. Nivea Express Hydration Body Lotion addresses this very beauty need and comes with a special benefit of extra-fast absorption. Nivea body lotion may be light-weight and smooth but it does not compromise with moisturization and makes skin extensively moisturized and hydrated in a few seconds itself and the skin and is therefore a perfect product for all weathers.